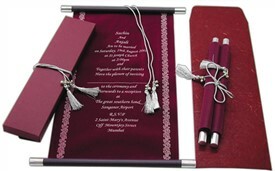 S108, Brown Color, Scroll Invitations, Jewish Invitations, Fabric Scrolls. 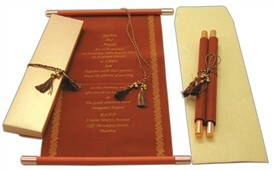 The plain scroll speaks of design through its golden & brown combination bars and golden zari tassel. 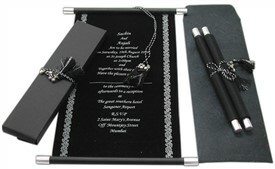 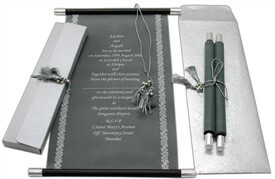 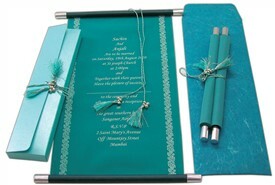 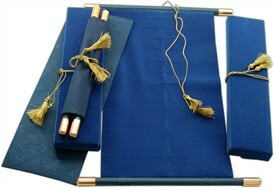 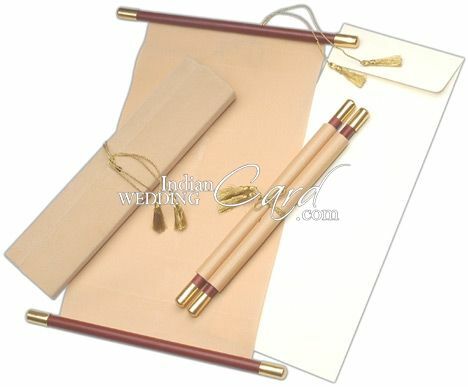 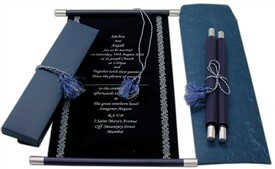 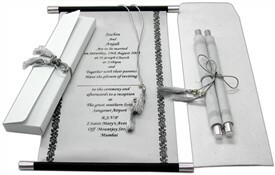 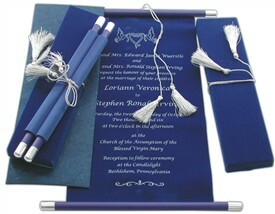 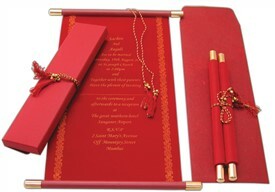 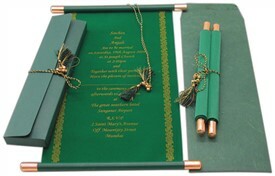 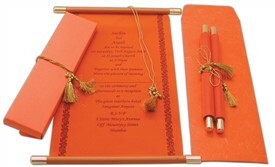 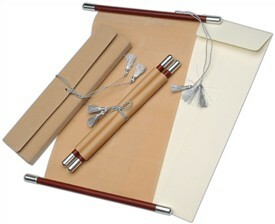 The plain box envelope has the golden zari tassel for tying and the main envelope too is plain.